The sound of traditional carols and Christmas favorites means the holidays have arrived �?? and music lovers in Liberal and the area can soak up the sounds of the season at two concerts in the next 10 days. Holiday-theme jazz will fill the program for the SCCC/ATS Swingin�?? Saints concert at 7 p.m. Monday. The event is free. With members from Liberal, Tyrone, Sublette, Satanta, Plains, and Kismet, the Swingin�?? Saints reflect the area served by the College. 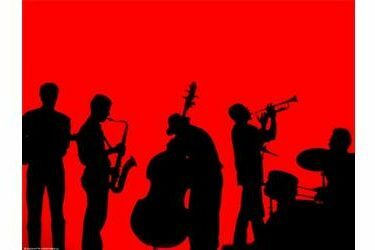 With a variety of classics, rock, some Latin-flavored jazz, and the ever-popular Big Band selections, Workman promised the concert will offer something for everyone. �??It�? ?s our Christmas present for music lovers,�?� he said. At the Winter Concert that following Friday, students from the SCCC/ATS vocal and instrumental music programs will showcase their talents. Vocal instructor, Dr. Magda Silva, said her two choirs will highlight dramatically different music styles. �? ?The concert choir typically tackles traditional, four-part music arrangements, and I�? ?m really excited about the balance we have this year �?? lots of kids, and plenty for each part,�?� she said. Silva has selected a broad array of pieces for the 23-member group, including the modern classic �??Shepherd�? ?s Pipe Carol,�?� and the old German song, �? ?Still, Still, Still.�?� An �? ?African Noel�?� will offer a diverse take on the Christmas spirit. The group also assembled and composed a unique song �? ?Twitter Christmas,�?� which follows the 140-character limit imposed by the social media application Twitter. Silva asked her students to list their favorite Christmas songs, then whittle the lyrics and melody down to the essentials, as if they were �? ?tweeting�?� the carols. All in all, Silva said, the a capella group evokes a different era, when people used to gather for singing parties, and enjoy the sound of one another�? ?s voices in song. The Winter Concert will be at 7 p.m. Dec. 11 (a Friday) in the Showcase Theater. Tickets are $3 at the door, but students and courtesy-card holders have free admission. All proceeds benefit the SCCC/ATS Music Endowment Fund. For information, call the SCCC/ATS humanities office at 620-417-1451.